Pedro's folding wrench sets are essential for the shop, event, ride, and at home. These folding wrench sets feature professional grade tool steel for strength, superior anti-corrosion finish for unmatched lasting performance, and body made of lightweight but super tough composite material. 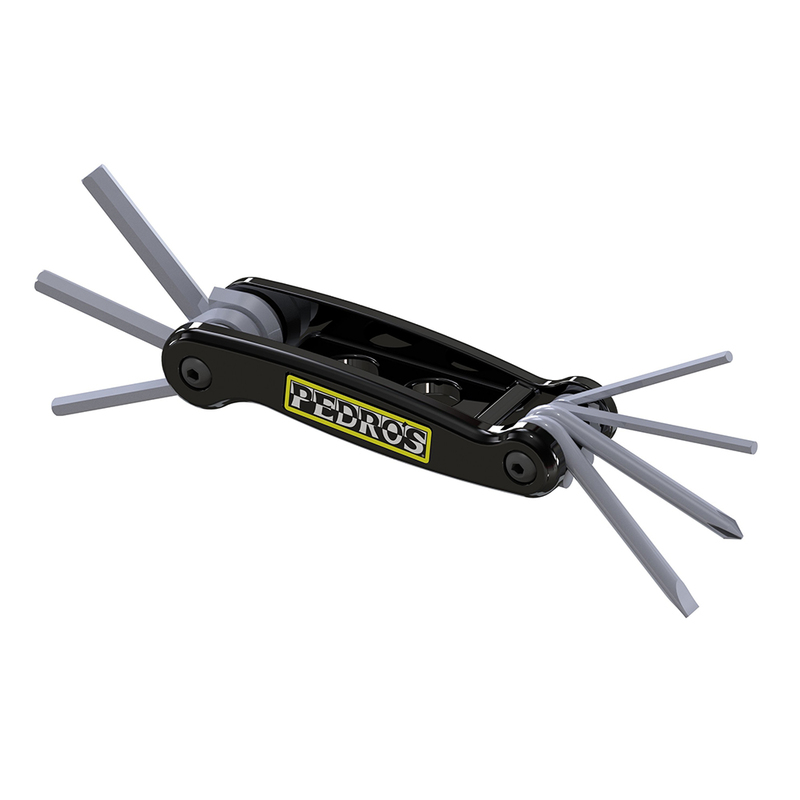 The new Pedros Folding Hex / Screwdriver Set II body features improved ergonomics, shaped to perfectly fit in your hand, allow easy access to each tool, and with extra length for better leverage and control. In addition, the new stay-tight bolt design keeps tool bits from loosening over time.